Hi-ya there friends!! 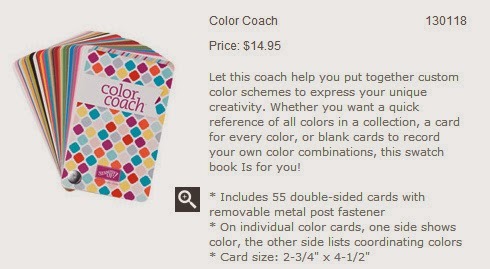 Today is day 3 of my Color Coach Week. I have had sooo much fun so far sharing these projects with you. If you missed my last 2 posts never fear... you can click HERE for Day 1 and HERE for Day 2. Today's card is using my favorite stamp set Stippled Blossoms!! I just think that it is so beautiful!! The colors that i found for this in the Color Coach were Wild Wasabi, So Saffron, and Perfect Plum. I wanted to incorporate my colors not only with my card stock but i wanted my ink to match as well only leaving my Soft Suede 3/8" Taffeta Ribbon as my only accent color. My card is average size of 4 1/4" x 5 1/2" with my next layer cut at 4" x 5 1/4" which is my So Saffron and then my smallest layer of the Whisper White cut at 3 3/4" x 5". My Perfect Plum is the top layer of my blossoms and i think that the Perfect Plum goes perfect with the So Saffron. 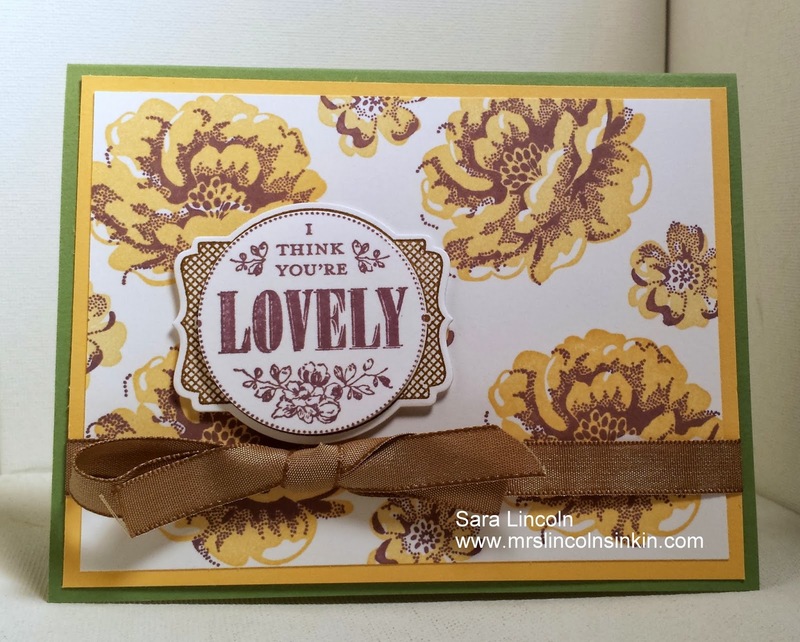 For my greeting i used the stamp set You're Lovely which you can get for free right now from the Sale-A-Bration brochure. Hurry, Hurry though, SAB is only on until March 31st! And, guess what? Today is Tuesday which means that there are new Weekly Deals! Click HERE to be taken directly to my SU! Demonstrator site to catch all the great deals!!! There are some great ones (like the Peeaboo Frames Bigz L Die). 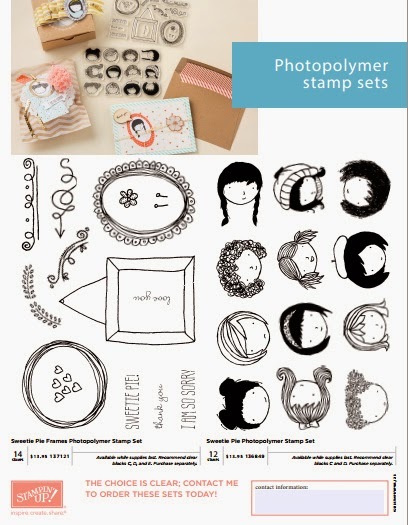 Also, today a new Photopolymer stamp set was released! It's so stinkin' cute!! If you click directly on the picture below you will again be taken to my SU! Demonstrator site where you can see all the details for this set as well as all the other great Photopolymer set!